Kamgar Maidan in Parel resonates with cheers of budding cricketers and the swish of their bats in the morning. After sweating it out on the pitch, the chidren from the nearby areas return home, pick up their bags and head towards school. Overlooking the maidan, a school stands in contrast, where classrooms come alive at night. People from all walks of life attend Milind Night High School and Junior College located on the third floor of a five-storey BMC school and offers a wide range of subjects from classes 8 to 12. With age no bar, an 18-year-old and a 55-year-old can appear for the class 12 examinations at the same time. The school dates back to 1960, when it had the attendance of just three students. Now, there are over 300 students on its roll. It has five classrooms, a small computer room and a staff room. Records of every student, right from when the school was opened, are stored in the staff room. It also has a small hall, where they host an inter-night school debate. In addition to these standard classes, the school has also partnered with Deeds Public Charitable Trust, an NGO, that helps speech and hearing impaired students to clear their school examinations. Over the last three years, the school has helped over 90 students score passing grades in English, which allows them to be enrolled in classes 11 and 12. Students at the school come from diverse backgrounds and professional fields. Among them were a group of five women working at the Tata Memorial in Parel, all of whom had previously failed their class 8 exams. After enroling at the school, they managed to pass class 12 and also gained promotions, which were earlier denied to them because of their lack of education. 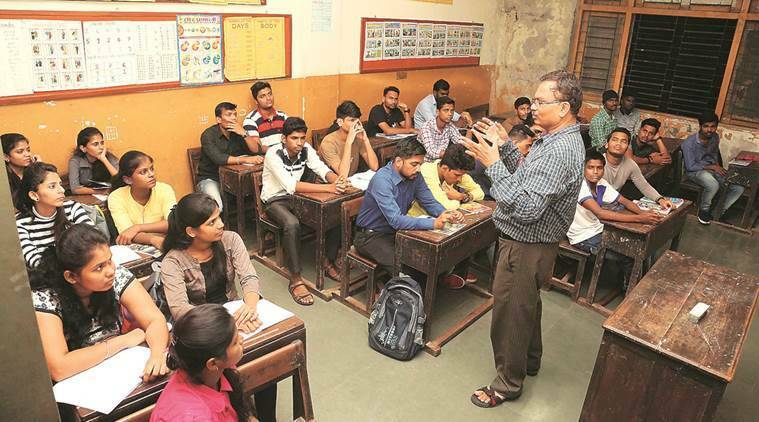 Jamal Sheikh, a 20-year-old worker at a tyre shop in Dadar, had no option but to find employment after being unable to clear the SSC after three attempts. “I will appear for the exams again, so I get a better job to support my family,” he said.